A bit of a different post from me today. I normally concentrate on food these days over here, but I always think that food and travel goes hand in hand, and so I wanted to talk about travel today, and specifically, write this as an entry into the QHotels Family Ambassador Competition. We have visited quite a few hotels as a family over the last few years, as I sometimes travel for work, and we also like to travel for leisure. As a family, we have stayed a lot at the QHotels brand as a family - both in a group and individually. Most recently, we celebrated Hubby's 40th and Youngest turning 5 at a QHotel. I have mentioned Q Hotels before on my parenting blog and reviewed them via tripadvisor. QHotels have launched a competition to recruit Family Ambassadors to review their hotels and we would be really honoured to be considered. QHotels are a brand that we know well as consumers, and so we know what they really do well, and also what they could perhaps improve for families and for guests in general. Having stayed at different hotels, we are also aware of the discrepancies in the brand. Some cater for kids much more fantastically than others. We would love to be able to improve the experience for families staying at QHotels, by reviewing the different hotels, and giving our feedback to make things better, and more consistent for all. Having worked many years ago in the service industry, bad service is one of my real bug bears. I can honestly say that QHotels are the only hotel chain we have ever stayed with where we consistently receive good service. Everyone is always kind and welcoming, and keen to help in whatever way they can with a smile and a "can do" attitude. During our last stay, the staff went above and beyond the call of duty when my little one hurt her foot and were so brilliant. My girls always have an amazing time when they visit QHotels. It's the small things that make the big difference for them. 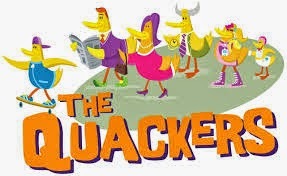 Firstly, the Quackers Pack - they love the fact that they get their own pack when they arrive. I would love to see it improved - more ideas on that later! 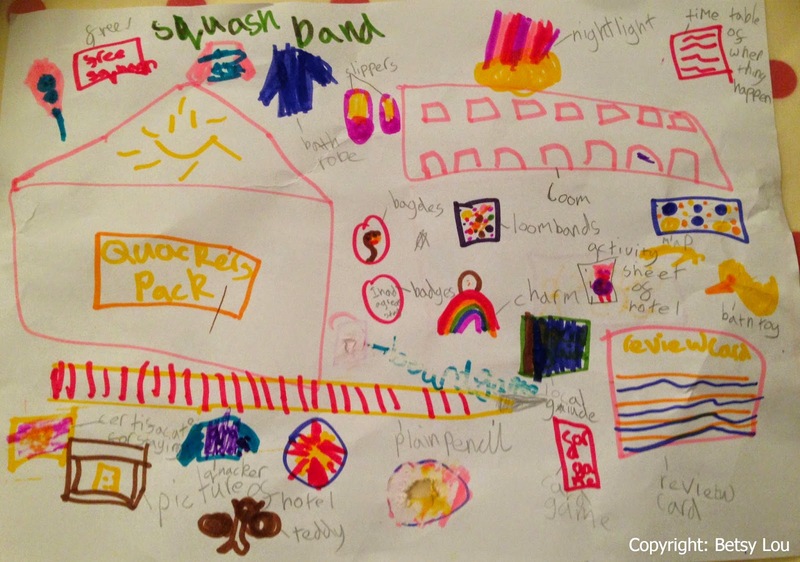 Last time we stayed, they also received a wrist band which entitled them to free squash during their stay at the bar. They felt very grown-up going and ordering their own drinks, and it was a really nice touch. The girls were given their own mini room with a TV last time, and they were in absolute heaven. They also had their own huge bed with a TV the time before, so they really felt like there was a part of the room which was just for them, and they didn't feel squashed on top of each other like in other hotels. The kids menu is also fantastic, there is lots to choose from for little and big eaters. Youngest had a dippy egg as a starter last time we stayed, which she was over the moon with. Then there is the swimming pool! Lots of the hotels have a health club attached and so a dip in the pool is a luxury that we all like to enjoy during our stay. The girls get to show off their swimming skills to Daddy, and I hget to relax on the sun loungers! Last but not least is the Hotel Breakfast! Hotel Breakfast is always a big deal for the kids whenever they stay anywhere, and when we last stayed, they were both able to go and help themselves to whatever they wanted. Boiled eggs with Nutella dip seems to be a popular choice! !, (well. they are on holiday!!) We always manage to find something interesting for the kids to do when they stay at a QHotel also, as there is typically a suitable kids attraction nearby. 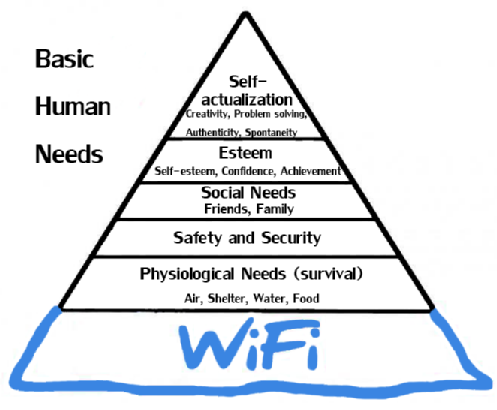 If Abraham Maslow was still alive, his Hierarchy of needs would definitely feature Free Wifi right at the bottom as the most basic human necessity. QHotels has this completely sewn up with Free Wifi offered throughout the hotel. There is no limit on time or devices, and the connection is brilliant too - no loading pages, or long waiting times to connect, it all just connects automatically. This is great for when you need to load Peppa Pig on Youtube in a hurry to silence a screaming child, or are looking for ideas of what there is to do for kids in the local vicinity. Being as this is a food blog, I guess I do have to mention the food a little! One of the reasons I would personally love to be a family ambassador is hopefully to help improve the food for those on special diets, Whilst my meat-eating hubby and kids are brilliantly catered for at QHotels, some of the food offerings I have been offered as a Vegetarian have been a little disappointing, so it would be great to be able to hopefully help QHotels improve their catering for Vegetarian or Vegan Families, or those who eat a special diet, so that they felt they were catered for equally to others guests. There are things that QHotels could improve on to be more family friendly - such as making the room more child friendly in terms of safety (plug socket fillers/door wedges to protect trapped fingers/stair gates/ pillows to put on the floor in case kids fall out of bed) could all be options that might be offer to families at check-in. Perhaps removing a small glass table if kids are staying in a room on their own, or having signs at a child friendly level could all be other options - the small things really matter to children. There could also be the hire of games consoles if the chain wanted to stretch to it!! With a little help from me, youngest made a video of the things she would like. I quite like the £20 off stay which is currently in the pack, although would prefer something you could use during the stay - maybe a free drink for Mum or Dad, perhaps a manicure/pedicure for the kids, or free kids sports activity for those hotels offering sporting options. 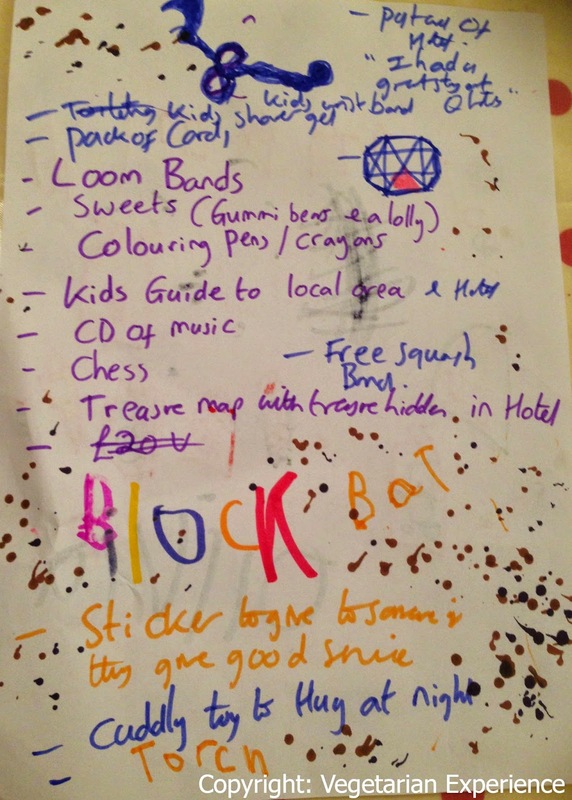 I also think a "for kids, by kids" online tour or video of QHotels would be a really cool thing to do, or "top tips for staying in a hotel for kids" video by kids. I think that whilst my kids are complete veterans, some other children may be a bit more apprehensive about what to expect, so anything that helps them feel more comfortable, or helps them get more sleep is a bonus for parents and children! I really hope that we can be considered as QHotels Family Ambassadors, it would be a great experience, I hope that we would be of benefit to the brand, and would help improve their services for families. 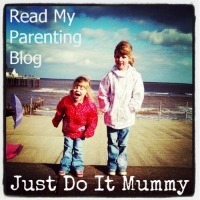 Writing a food, and a Parenting Blog, means that I could guarantee coverage on two blogs to two different audiences. I am also very active on Instagram and other social media, so hopefully I would reach a wide audience with our experiences. Our girls are real hotel veterans, so they know what they like when visiting a hotel, and they are not afraid to express their opinion, or suggest ideas for how to improve things. Hubby and I are the same - we are not afraid to praise what is good, and express our opinions on what maybe needs improvement. We would really value the opportunity and we would really try hard to do a good job too, and be thorough with our reviews! You can view all of the entries for the QHotels Family Ambassador Compeition by searching #QHotelsFamilyAmbassador on Twitter.